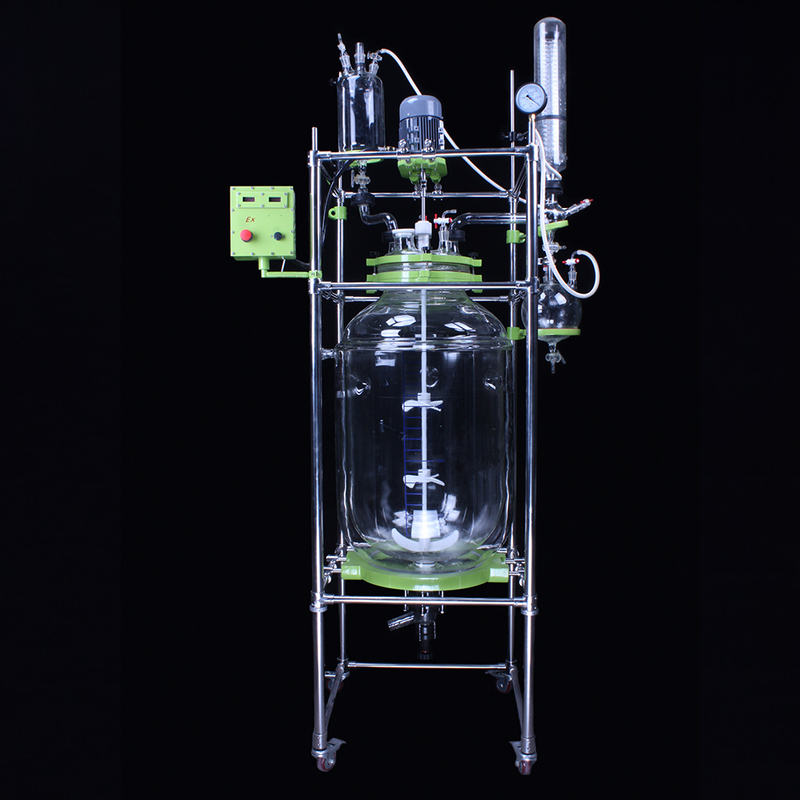 We are one of the top brand manufacturers of Glass Reactor in China, This series of Chemical Glass Reactor vessel is a new type of jacketed layer glass reactor produced by our company, according to the actual requirements and standards of customers. It absorbs the advantages of similar products both at home and abroad, and is bold and innovative. It is an ideal equipment for modern chemistry, fine chemistry, biopharmaceutical, new material synthesis and other experiments. Specific specifications are available from 1L to 200L. 1. 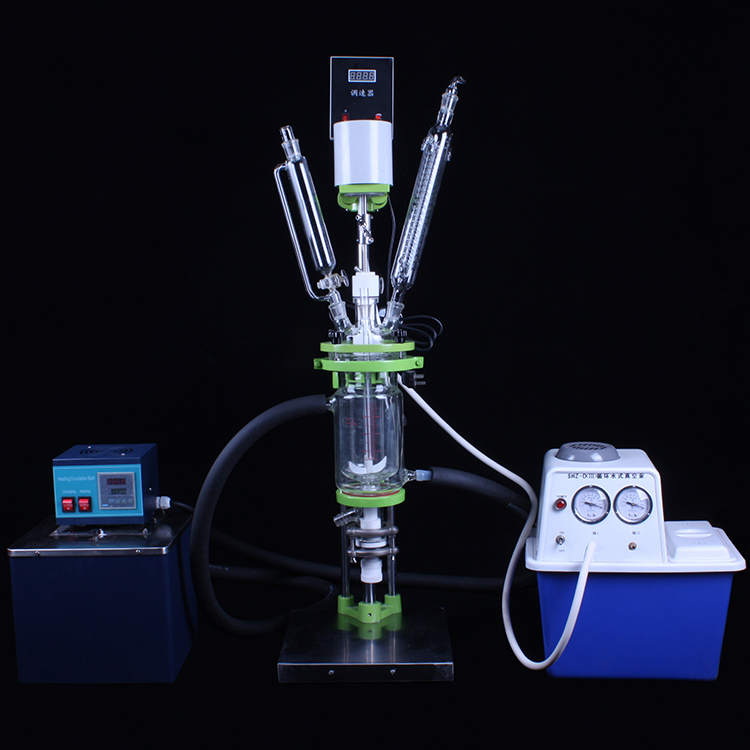 The chemical glass reactor body is made of high borosilicate glass (GG-17 material). 3. 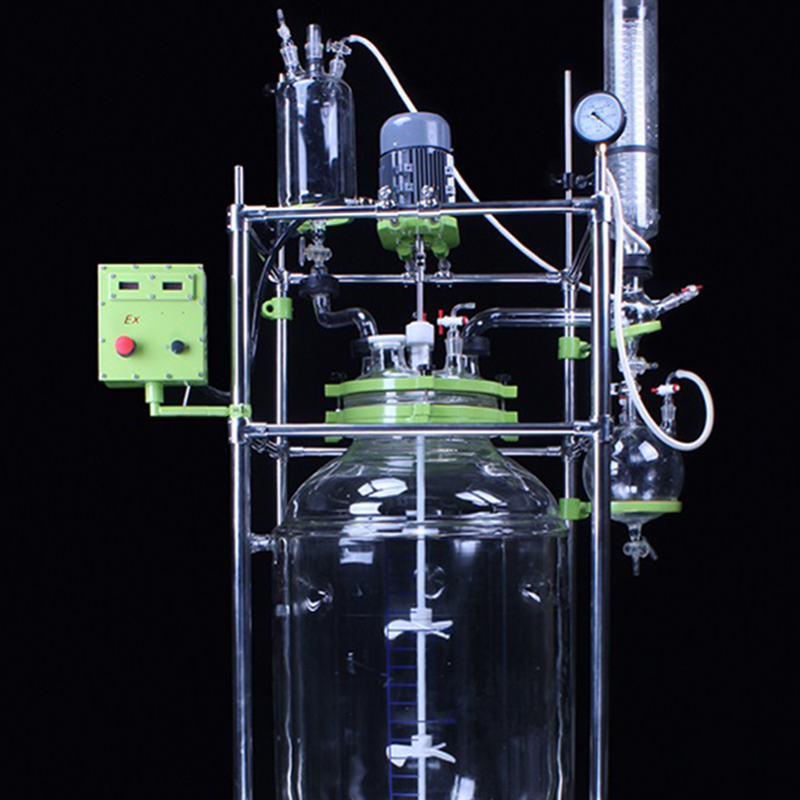 The stainless steel stir bar of this Jacketed Glass Reactor is outlaid with tetrafluoroethylene, which is suitable for mixing various solvents. 4. 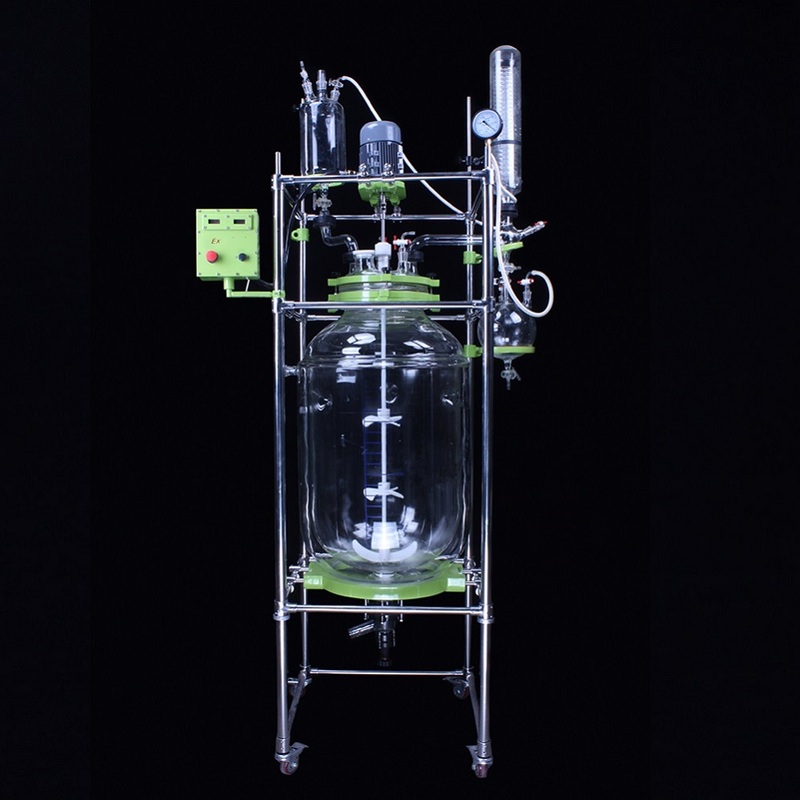 This Double Jacket Glass Reactor has Ac motor stirring, smooth operation, large torque, no spark, long life. 5. This Glass Jacketed Reactor has Teflon + mechanical seal, which has long service life. 6. Electronic non - polar speed control, speed digital display. The speed can be set by adjusting speed and twist. 7. The whole structure is compact and reasonable and easy to operate. 8. Non-dead Angle polytetrafluoroethylene inclined discharge valve, can effectively reduce the mixing dead Angle, easy to discharge. 9. This product is equipped with vacuum display function, for high boiling point materials can choose the best working vacuum degree. 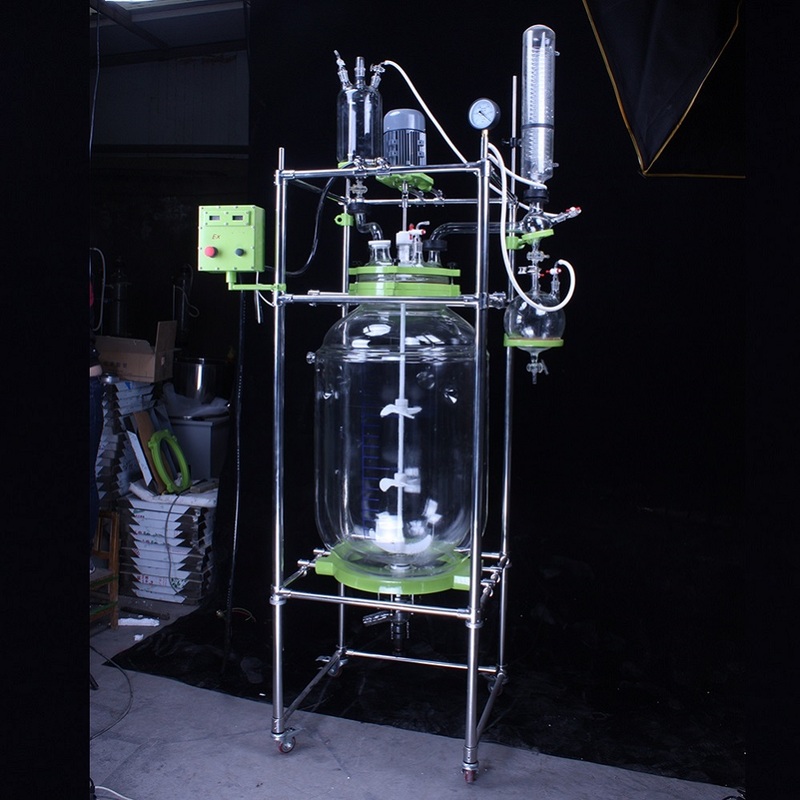 10.Our factory makes all kinds of double - layer glass reaction kettle, also ccould make explosion - proof type machines. Shipping time: 3-5 days arrive the airport. Suggestion: More than 200kg, and urgent need, can be choose this way. Shiping time: 10-55 days arrive the seaport, according the country and seaport. Advantage: Cheapest price, Large transport. Suggestion: The time requirement is not very high, can be choose this way. Shipping time: 3-5 days arrive your door. Advantage: Fast, convenient, Just need wait at home. Suggestion: Small pieces, and urgent need, can be choose this way. 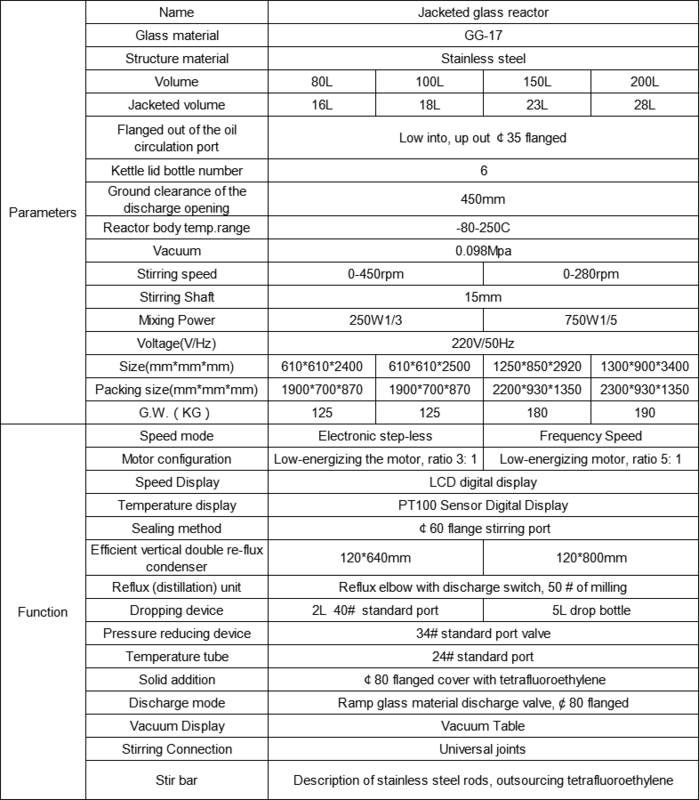 ZHENGZHOU MINGYI INSTRUMENT EQUIPMENT CO.,LTD is a major production and sales of Jacketed Glass Reactor, life science equipment, glass equipment, medical equipment production and sales of one of the equipment company. The strength of the company, customers in products and consumers who enjoy a high reputation. The company operating the laboratory equipment, life science equipment, glass equipment, medical equipment, the full range, reasonable prices, cost-effective. After long-term accumulation, the emphasis on credit, keep the contract to ensure product quality management principles, and now has a number of agents and retailers to establish a long-term and stable relations of cooperation, and won the trust of our customers.In response to the development of the era of globalization, we set up a special export company, serving the global market. So, Please don't wait, please don't hesitate, just contact us please. 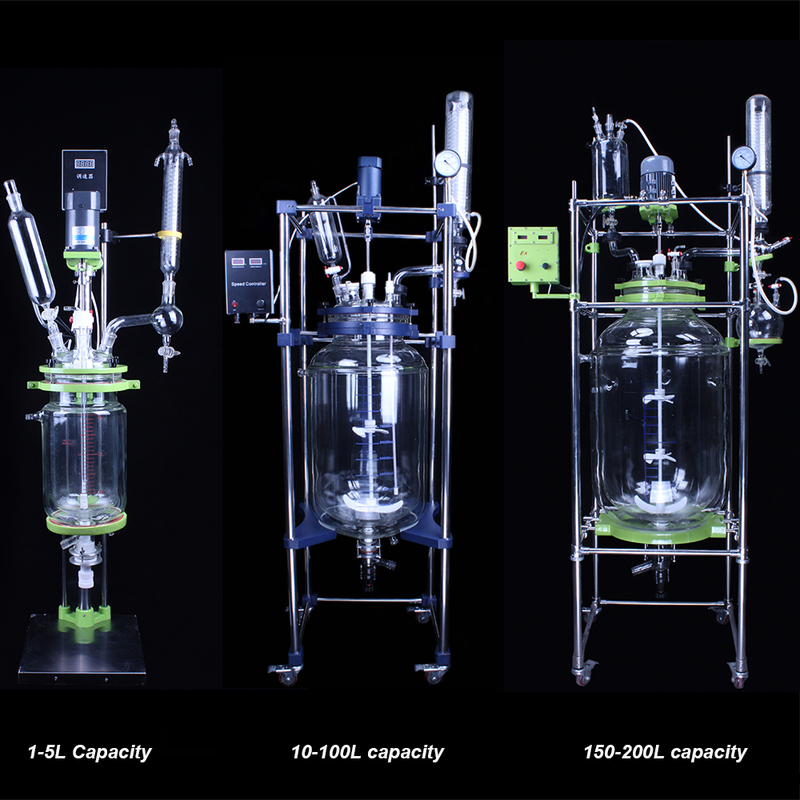 Looking for ideal Glass Reaction Vessel Manufacturer & supplier ? We have a wide selection at great prices to help you get creative. All the Chemical Reaction Vessel are quality guaranteed. We are China Origin Factory of Jacketed Glass Vessel. If you have any question, please feel free to contact us. 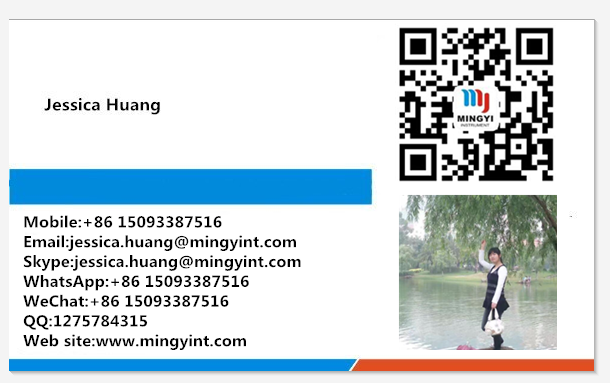 Copyright © 2019 Zhengzhou mingyi instrument equipment co.,ltd All rights reserved.